by John - June 30th, 2016. 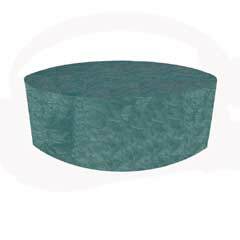 163Protect your garden furniture from the elements with this Greenfingers 4 Seater Round Furniture Cover. Made from durable polyethylene it is very resilient quick drying and easy to clean.Stain resistantShower proof90g/m polyethyleneDimensions: 163cm diameter x H89cmPlease note: in high winds furniture covers can act like a sail so we advise that covers are not used in stormy weather. 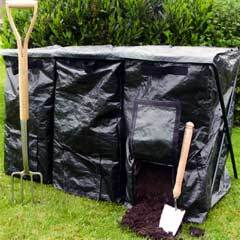 Perfect for creating leaf mulch or organic compost from household waste or kitchen scraps this triple bin Greenfingers Garden Composting System comes at a great value price! It comprises a metal stand with three durable 110g/m polyethylene bins with lid openings for input and bottom openings for output. It is a definite must-have for your outdoors because you can have one bin you are filling one bin that is full and decomposing and one bin that contains compost that is ready to use on the garden. 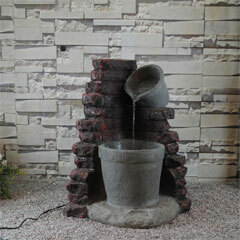 This is a durable resilient garden product with generous bin proportions that are conducive to a hot heat. Used properly the compost rots quickly when the bins are full and it is really easy to access the ready compost.Dimensions: L120 x W50 x H70cmClick here for handy Composting Information.Click here for Assembly Instructions. The Alexander Rose Portofino Table is a wonderful table and would be a good addition to any outdoor landscape. The Portofino table features a fine power coated mild steel and wire mesh. Well suited to contemporary homes the Portofino Table is resolutely practical and easy to maintain. A simple yet crisp design the intricate way the mesh and structure blend together fusing lines shapes and patterns is the real hallmark of this range. An ideal accessory for entertaining garden guests and al fresco dining. Alexander Rose is synonymous with innovation high quality and durability; the quintessence of quality and attention to detail. When you invest in Alexander Rose for your garden furniture you are buying a classic of the future something you will pass on to the next generation. Table only Measures approximately H73 x W105 x D105cm Weighs 15kg Greenfingers recommends that all furniture is protected during the winter either by covering with furniture covers or storing the furniture indoors. 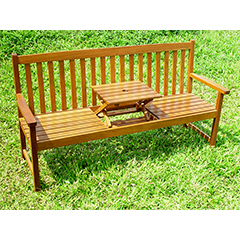 All Greenfingers Garden Furniture arrives flat-packed and will require some assembly. 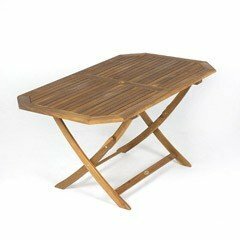 This attractive Ellister Cadiz FSC Acacia Rectangular Folding Table would make a great addition to your garden patio or decking this summer. This table has a hole in the centre so you can shade from the sun under your parasol and there is plenty of room so why not invite family or friends round an evening of food drinks and good company.Dimensions: L150 x W85 x H72cm Parasol hole: 5cm diameterPlease do not leave your parasol unattended in the table especially during windy conditions.  We also recommend that you purchase a parasol base for extra stability. Click here for Acacia Information. A great accessory for your outdoor or indoor furniture this Greenfingers Outdoor Scatter Cushion matches any style of furniture. 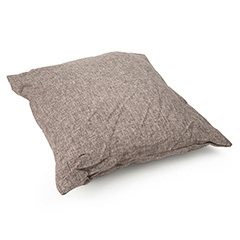 Relax in comfort with this sumptuous cushion that is not only stylish but also hard wearing and be assured it will last for years. It is also perfect to use indoors!Manufactured from high grade 230g polyester fabric and finished with attractive piping the cushions are deep filled with polyester fibre. This fabulous zipped cushion has also been waterproofed so that the fabric stops water from passing through whilst still being able to breathe. This is a great quality product at a great price. Conforms to BS5852 fire safety standardsWaterproofRemovable cushion coverWash at 30 degreesIndoor or outdoor useDimensions: 45cm squareCustomer note: The waterproof finish is intended to protect against a rain shower and this will not affect the cushion – but constant soaking may result in water passing through the zip and sewn edges. The fabric is rot proof but we do recommend your cushion is stored away when dry. This No-Frills Crop Cage is made of high quality materials so your crops get the very best chance to grow and provide you with healthy home grown fruit and vegetables.You get everything in this set that you need to build a good sized fruit and vegetable cage which will provide complete cover from birds and other garden pests. It is simple to build and comes complete with plastic covered steel rods connectors pegs and netting.Kit Contents: Plastic covered steel rods Connectors 22cm Ground Pegs 20mm Bird Netting.Completed Dimensions: L1.2 x W1.2 x H1mCustomer Note: This kit contains only the net cage and does not include the raised beds. 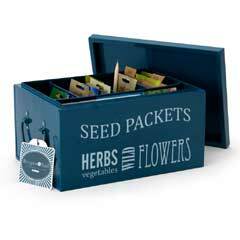 This Burgon & Ball Seed Packet Organiser is a great and practical way to collect and organise your seeds by planting month. It comes complete with wooden pencils monthly dividers and five seed storage envelopes to get you started.The vintage styling gives this powder coated tin a stylish classic appearance – it would make an ideal gift for any avid gardener. A good durable product that will last for years.Dimensions: L28 x W20 x H16cmClick here to view our Flower Seeds Department.